My internet connection was down yesterday but here goes yesterday’s recipe(s). 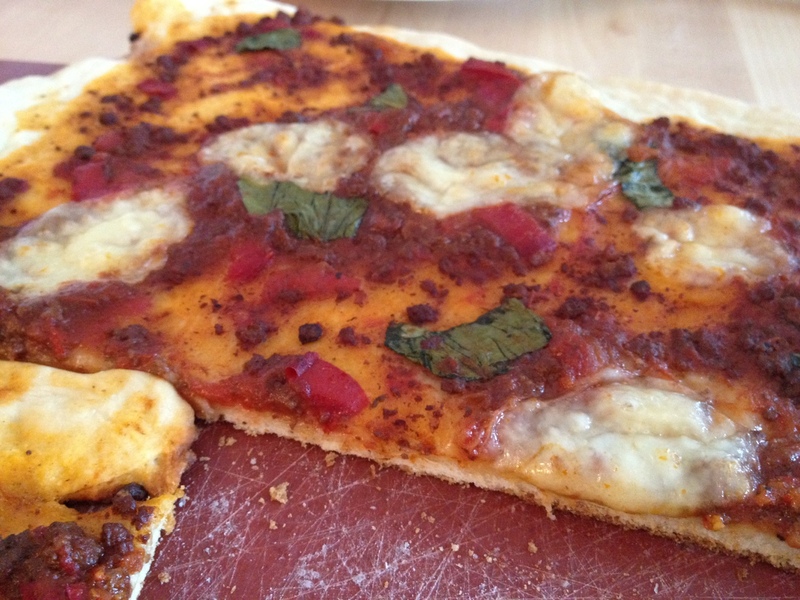 It was the last day of my juice detox and I faltered… I made pizza for my two men and made my own pizza dough. 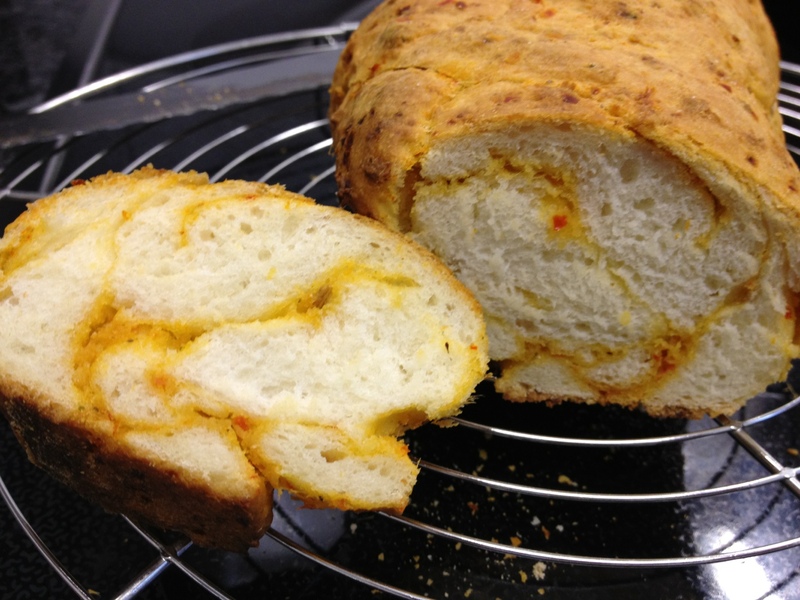 The recipe is from a Swiss website called Gutekueche.ch (meaning good kitchen). 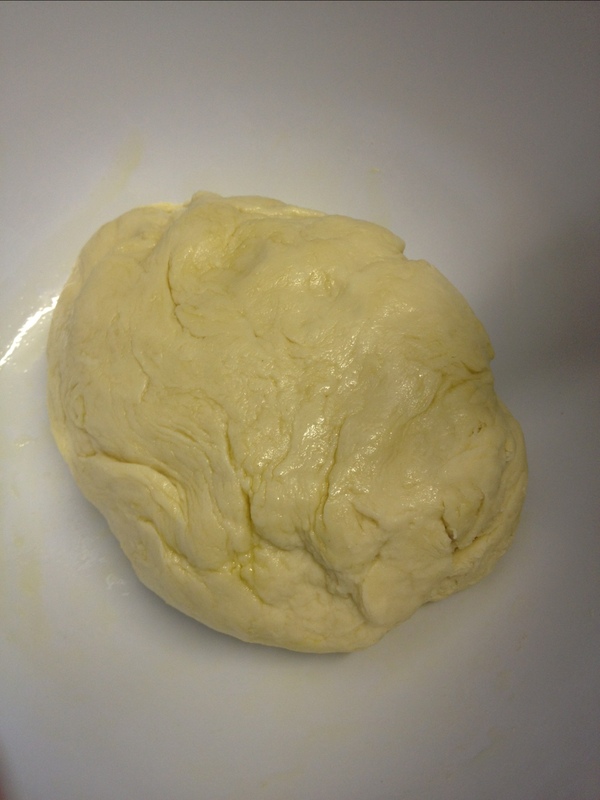 Mix 300g flour and 1 teaspoon of salt. 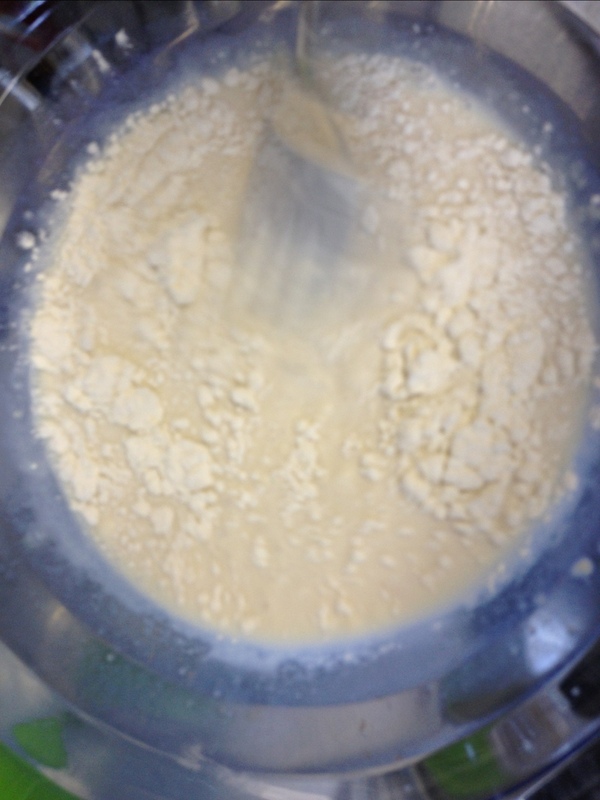 In a separate bowl mix 20g fresh yeast, 25g sugar and 1.25dl lukewarm milk. 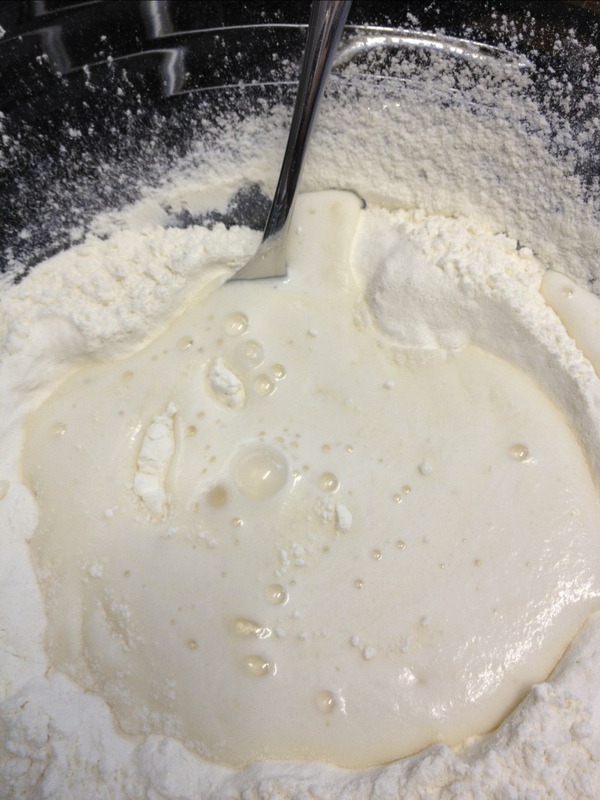 Add one tablespoon of the flour and mix until combined. Leave in a warm place for 20 minutes. 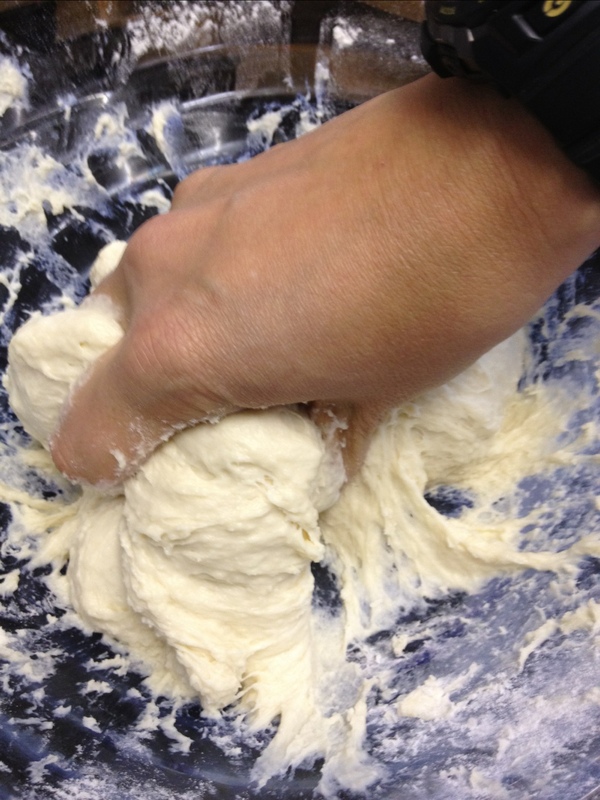 Then mix with the rest of the flour, 1dl lukewarm water and 2 tablespoons of olive oil and knead thoroughly until you get a soft, springy dough. 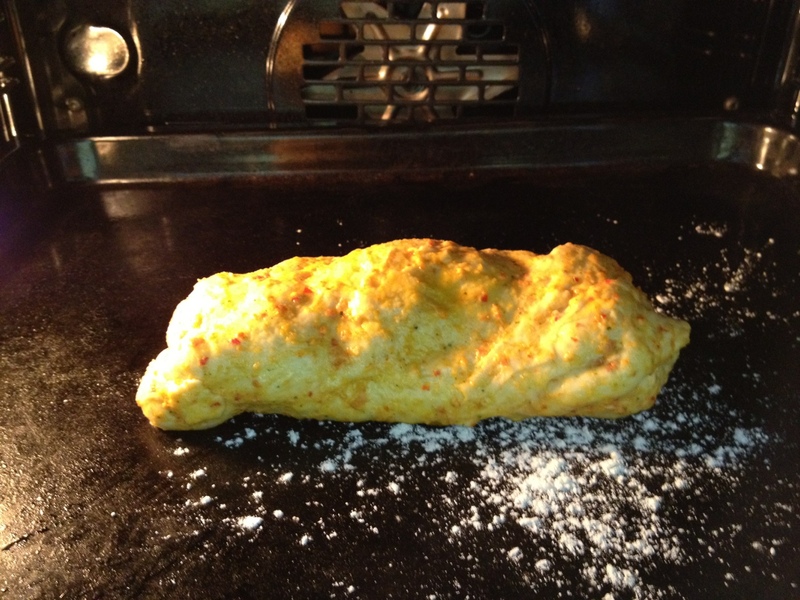 I had to add quite a bit of extra flour to get there. 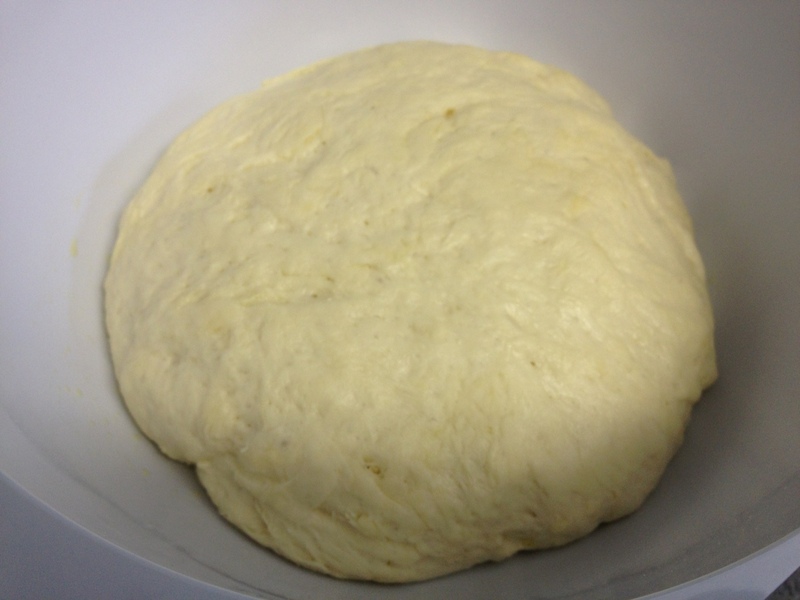 The dough then needs to rest for another 30 minutes (or longer if you’ve got the time). 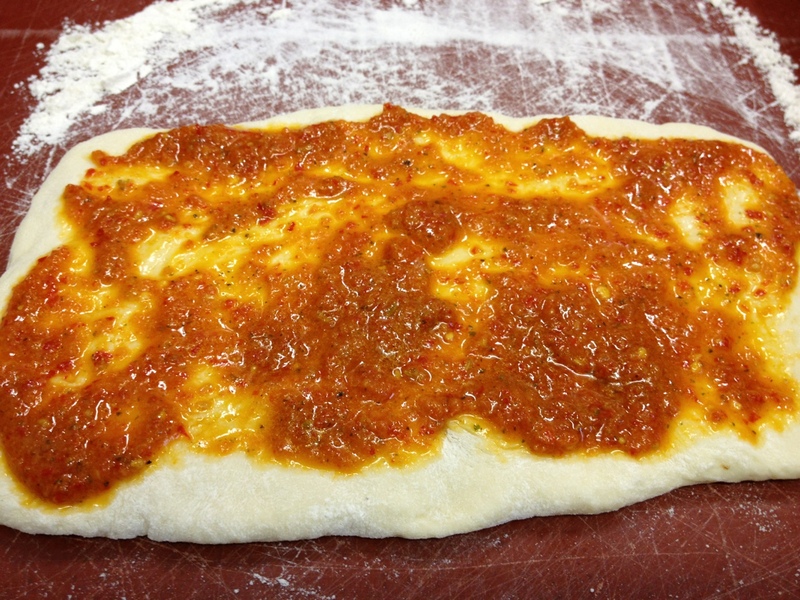 Now, if you’re Italian brace youselves: I put (home made) bolognese sauce on my pizza, topped it with mozzarella cheese and some of my chili sauce. 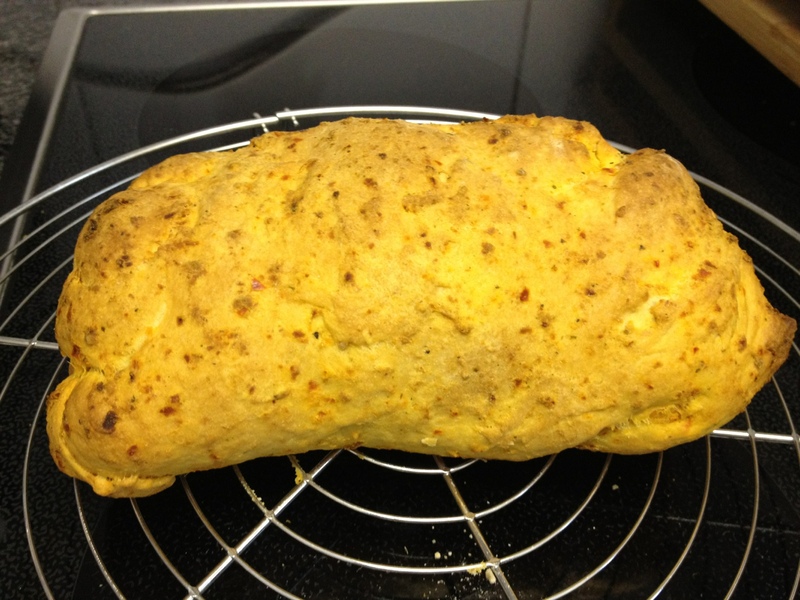 I had quite a bit of dough left and made a chili bread with it by adding some chili sauce to the dough. It turned out to be a great idea. 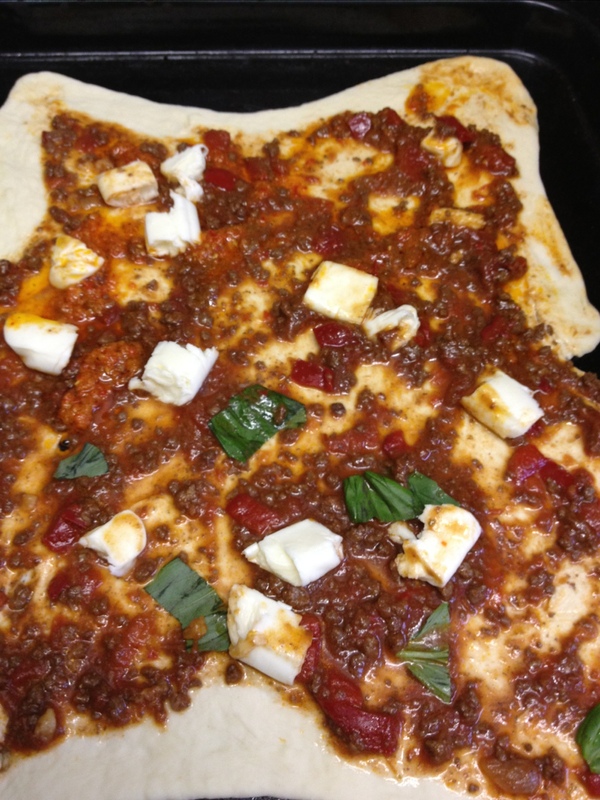 It tasted devine!